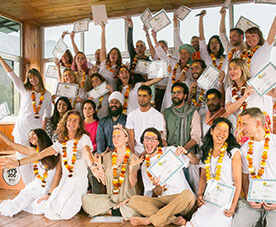 200 Hour/300 Hour/500 Hour Yoga Teacher Training Course Certified by Yoga Alliance. Embark upon the eternal route to deep mental, physical and spiritual enlightenment with Yoga Teacher Training Certification. Commence the journey of becoming a certified yoga instructor and a keen yoga practitioner with the Yoga TTC at Rishikul Yogshala. 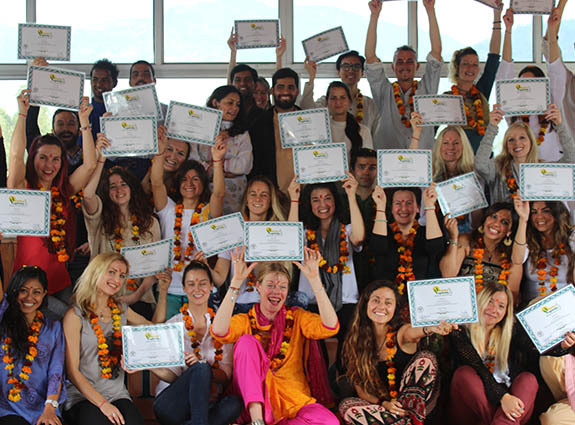 We conduct 200 Hour, 300 Hour and 500 Hour Yoga Teacher Training programs, accredited by virtue of Yoga Alliance. Step ahead in your journey of yoga. Take your yogic practices and learning to a more sincere and refined level. 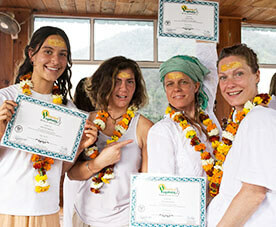 Become a certified yoga teacher with Yoga TTC at Rishikul Yogshala. Imbibing the pragmatic way of life with yoga certainly instills a deeper purpose and a whole new meaning to a practitioner’s life. So much so, that many a practitioner devote their lives to it. The journey covered while travelling the path leads to yogic happiness and contentment that is truly indescribable. Yoga is known as one of the most humanitarian and the most natural healing sciences of all. And, so several passionate yogis find immense gratification in imparting the treasures of this majestic science as a yoga teacher. 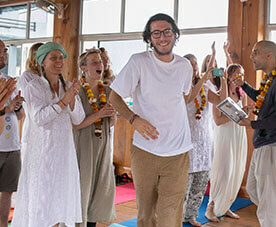 If you aspire to join this marvelous yogic wave by spreading the education of yoga to various corners of the globe or willing to indulge in more sincere self-practice of the art or, merely looking to advance your knowledge and practice of yoga on a more evolved level, then take the ideal step towards it with one of Rishikul Yogshala’s highly acclaimed yoga teacher training programs. We offer Yoga Alliance certified 200 Hour, 300 Hour, and 500 Hour Yoga Teacher Training programs at major locations in India and outside the country as well. Our aim is to provide excellent quality of yoga education to our students and help them experience what is ‘more than just training’. Our team of highly experienced and well-qualified yoga teachers ensures each student goes back with fulfillment in their heart and wisdom in their soul. Ideal for : The program can be taken up by beginner level yoga practitioners and, also those looking to refresh their initially acquired yogic skills. 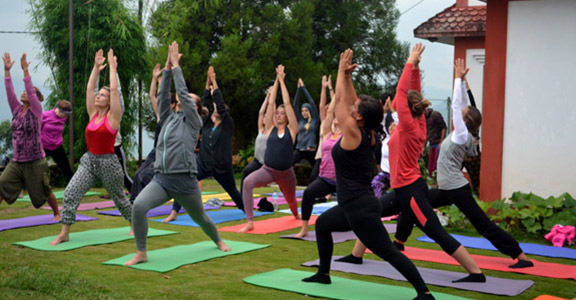 Program Description: Embark upon the eternal journey of yoga as a serious practitioner and a yoga instructor of featured quality with 200 Hour Yoga Teacher Training Program at Rishikul Yogshala. The program introduces a yogi to more sincere level of yoga practices while equipping them in the key subjects of yoga along with helping them learn and imbibe the true yogic lifestyle. Upon successful completion of this program, the students can take the next leap towards 300 Hour Yoga TTC or, continue as 200 Hour Yoga Teachers. Key Subjects Undertaken (Basic Level): Hatha Yoga, Ashtanga Yoga, Yoga Philosophy, Shatkriya, Meditation, Yoga Nidra, Teaching Methodology and many more. Ideal for : 200 Hour RYT qualified yoga teachers and practitioners looking to advance their yogic skills and knowledge to a more enhanced level. Program Description: Advance your practice and learning of yoga with the 300 Hour Yoga TTC at Rishikul Yogshala. The program shall take all the 200 Hour RYT yoga practitioners and instructors through advanced stages of yoga and its methodology. Upon successful completion of the course, you shall be validated as 300 Hour Yoga Instructor. Ideal for : Basic to intermediate level yoga teaching aspirants willing to undergo a complete education of traditional styles of Yoga and graduate as full-fledged yoga instructors. Program Description: Undergo complete mind, body transformation through various stages of learning and practices of the majestic science of yoga during 500 Hour Yoga Teacher Training at Rishikul Yogshala. Study and imbibe the pragmatic way of life, including the various ethics and principles (the Yamas and niyamas) as mentioned in the Sutras of Patanjali and the Great Upanishad of Bhagavad Gita. 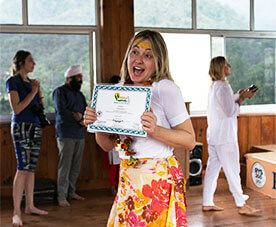 Upon successful completion of the course, you gain the status of 500 Hour Yoga Teacher. 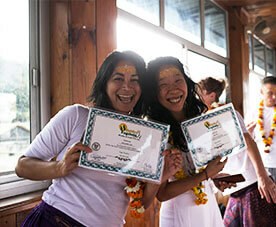 This is the highest level granted by the prestigious Yoga Alliance to eligible YTTC graduates. 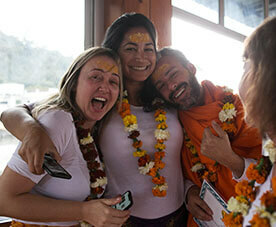 WHERE TO ATTEND YOGA TEACHER TRAINING AT RISHIKUL YOGSHALA? The natural healing system of Yoga can be truly acquired in a soulful environment where an entity can communicate with their body, mind and soul, a place where bonds of nature can be formed for complete internal healing and rejuvenation. Acknowledging this fact, Rishikul Yogshala has set up its branches at some of the most picturesque and soulful places on the globe. 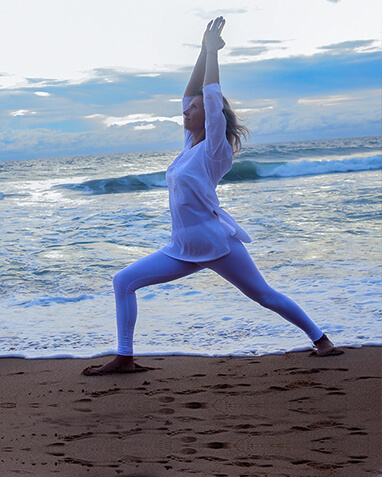 Whether you are a mountaineer, a history enthusiast or a beach admirer, we have just the perfect location for you to explore and delve into the refined practices of yoga with zeal and ardor. Dwell in the heart of Himalayas; sink into deep yogic practices by the side of Holy River Ganges or meditate in some of the most ancient caves during Yoga Teacher Training at Rishikul Yogshala in Rishikesh, India. Immerse into the soulful sound of conch horns, temple bells fused with Mantra chanting. 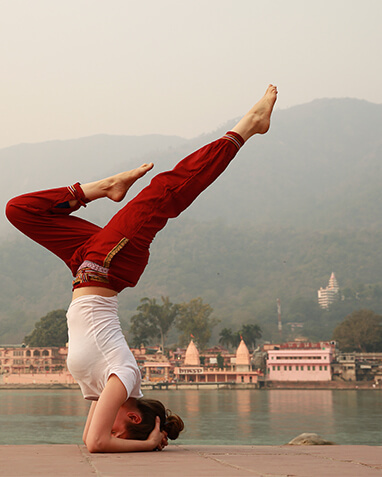 Designated as the yoga capital of the world, Rishikesh is the town in which the very soul and ambiance emanates holiness, sanctity, yoga, meditation and spirituality. 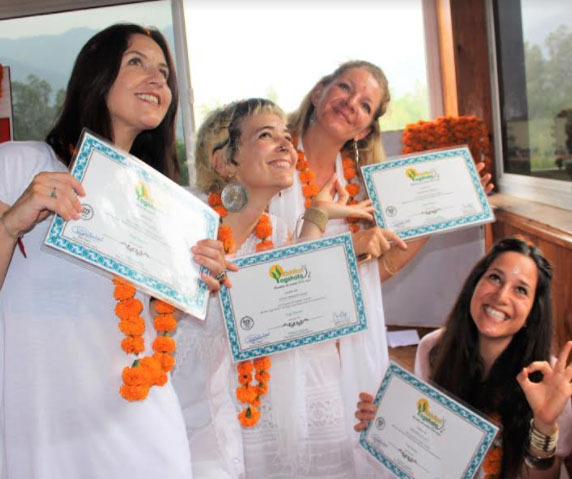 If you are particularly fond of cold, fresh breeze, magnificent mountain beauty while engaging in mindful conversation with fellow yogis, sages that have been nurtured and braced by this beautiful town of Rishikesh, India then step forward towards an extremely delightful and authentic experience of yoga with our Yoga TTC in Rishikesh, India. Sail to the healing land of Ayurveda and perforate deeply into the most acclaimed treasures of the natural healing Vedic science while indulging in authentic yogic practices with us. Become a Yoga and Ayurveda teacher with finesse and deep internal introspection. This is not all. Kerala is also one of the globe’s most beautiful destinations representing a wide assortment of flora and fauna, breathtaking emerald beaches, clear glistening backwaters and so much more. 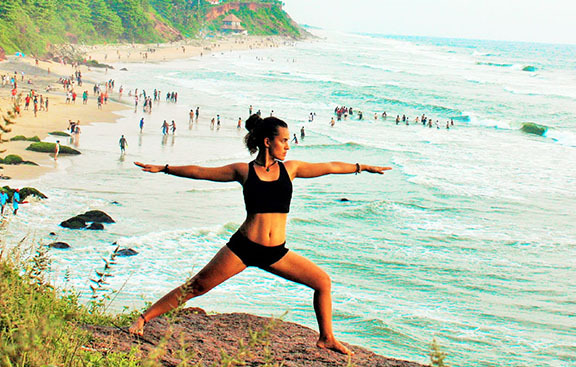 Our school is located in the beautiful Varkala region and offers the ideal ambiance along with the perfect resources and revered Yoga and Ayurveda teachers for a fulfilling Yoga TTC in Kerala, India. Being the birth land of the ancient martial art style of yoga, a.ka., Kalaripayattu, the town is also ideal for those aspirant willing to undergo Kalaripayattu Teacher Training Certification with us. Immerse your heart and soul into the enlightening journey of yoga in the lap of snow capped Himalayas, humming river streams, ancient gompas, traditional temples, and so much more. Our location for Yoga TTC in Nepal is the picturesque valley of Pokhara, eminent for being the epicenter of deep meditation practices with several revered meditation gurus sailing to this place of wisdom and knowledge. The town also continues to nurture and nourish several yogis, sages and erudite to its divine land for undergoing spiritual, mental and physical transformation through deeply refined yogic practices and training. If you are particularly fond of intercepting globally eminent history, art and architecture with reference to the mystical forms of Yoga, particularly Tantra Yoga, Kundalini Yoga then join us for a Yoga Teacher Training in Khajuraho, India. We are located a few kms off the main town of Khajuraho and facilitate our students with highly enriching traditional knowledge and practices of yoga in a serene ashram-like ambiance for deep internal pacification of the mind, body and soul. 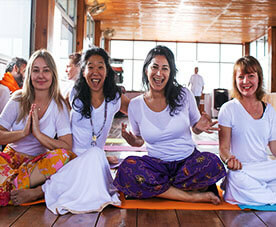 Indulge in eco-logic experience of yoga and acquire complete solace in the Paksong town of Thailand. Lush green beauty, picturesque beaches, soothing scenery, fresh breeze and ancient heritage, Paksong makes for an ideal location to undergo immersive yoga teacher training at Rishikul Yogshala. If you wish to greet a more alive version of yourself while establishing a long lost connection with your mind, body and soul then sail to the valley of Paksong and register for a Yoga TTC in Thailand with us. Reach into the layers of your soul while undergoing extensive teachings and practices of yoga with our highly revered yoga teachers and gurus during Yoga TTC in Vietnam with us. WHY YOGA TTC AT RISHIKUL YOGSHALA? Undergoing a yoga teacher training program at Rishikul Yogshala offers you the advantage of acquiring yogic knowledge in the most professional yet interested manner that only incites to keep deepening your practices and knowledge with sincerity and dedication. We are internationally certified premier category registered yoga school. 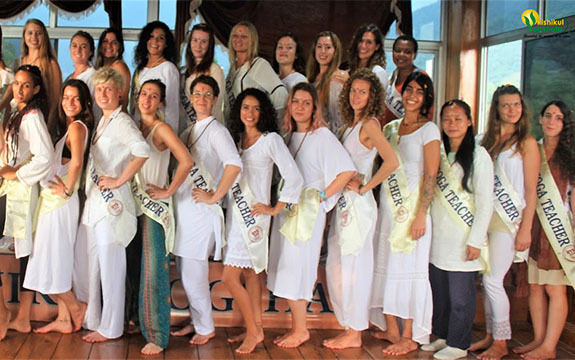 Upon successful completion of yoga teacher training program with us, you get the liberty and the advantage to register with Yoga Alliance and preach the divine message of yoga anywhere in the globe as one of the finest internationally recognized yoga instructors. Learn and experience the most authentic style of yogic teachings and practices under the gracious presence of some of the most revered yoga teachers. Acquire the most traditional styles of yoga such as Hatha and Ashtanga Yoga at an excellent yoga school of international repute. Master the art of breath based training with us and, regulate it towards complete internal gratification. Engage in deep inner work and attain self-realization under the divine tutelage of highly experienced yoga teachers and spiritualists. Rishikul Yogshala offers the ideal environment and resources for evolution as a yoga teacher. As a student at Rishikul Yogshala, you get the prestigious advantage of seeking complete guidance from our yoga teachers and experts at anytime of the day during the course of program. As an experienced yoga school of global repute, we strive to understand the requirements and skills of each and every student. And, so our teachers at Rishikul Yogshala pay personal attention for deep assessment of each student in order to impart the yogic teachings and practices on a more personal and meticulous level. 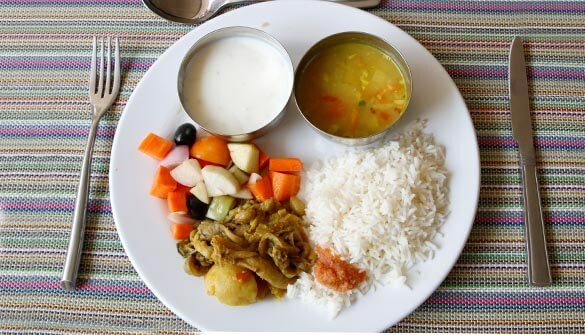 Food Relish mouth-watering yogic food prepared at our food facility. The diet served is full of essential nutrients, vedic herbs and are designed to fulfill the requirements of our students to the complete satiation of their mind and soul. Our chefs specialize in Ayurvedic Cooking and, hence, only fresh yogic vegetarian food is served to our students at Rishikul Yogshala. ACCOMMODATION Having years of experience as an excellent yoga school, we acknowledge the requirements of our students, guests, yogis well. 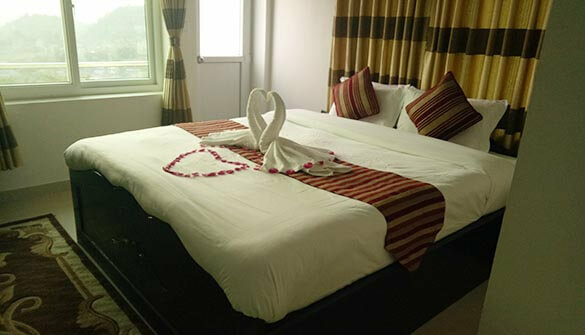 And, hence, apart from imparting the experience of an authentic yogic life and its teachings, we also ensure that the accommodation we offer our students is well equipped with all modern amenities such as twin beds, attached washrooms, lights, fans, TV, geyser, private seating area, etc. to suit and fulfill the requirements of a modern day yogi. 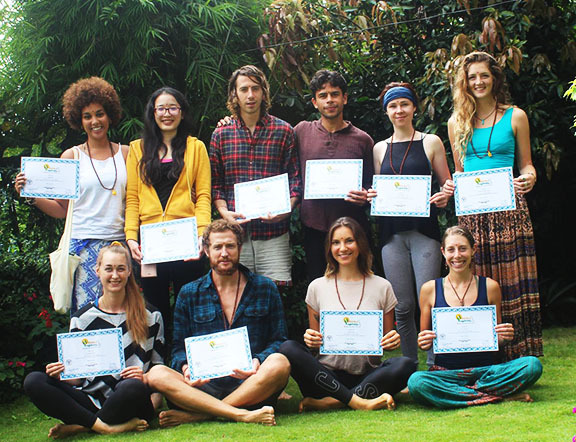 Become a validated yoga instructor and impart the yogic teachings across the globe as certified yoga teacher of the finest standards approved by Yoga Alliance. Fulfill the aim of becoming a serious practitioner of yoga and penetrate into the most authentic and traditional practices of yoga. Experience the taste of a bona fide yogic lifestyle and, imbibe the yogic principles as you develop into a true yogi. Practice and attain skills of traditional yoga styles while engaging in spiritual conversations and practices under the tutelage of experienced and respected yoga teachers. Utilize the grand opportunity to meet people, yogis, erudite of similar taste and, build meaningful connections for life. Undergo complete mind, body, spirit transformation and evolve on a holistic level during the Yoga TTC program at Rishikul Yogshala.